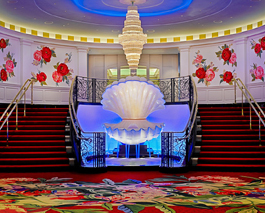 One of the most elegant and exclusive casinos in the country, the new Greenbrier Casino Club in White Sulphur Springs, W. Va., just opened in July 2010, following a ten-month, fast-track construction process. 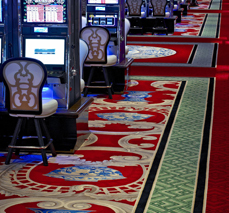 This luxury gaming facility features a 103,000-square-foot gaming area with more than 320 state-of-the-art slot machines and 37 table games, including blackjack, craps, roulette, baccarat, three-card poker and Texas Hold ‘Em poker tables. Unlike other gaming facilities, Casino Club is only open to overnight Greenbrier Resort guests, members of The Greenbrier Sporting Club and the Greenbrier Golf & Tennis Club, as well as outside convention guests when more than 400 rooms at the resort are booked.